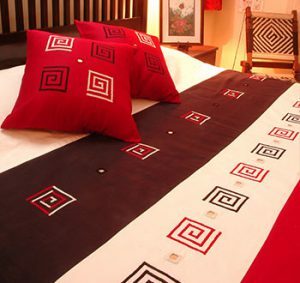 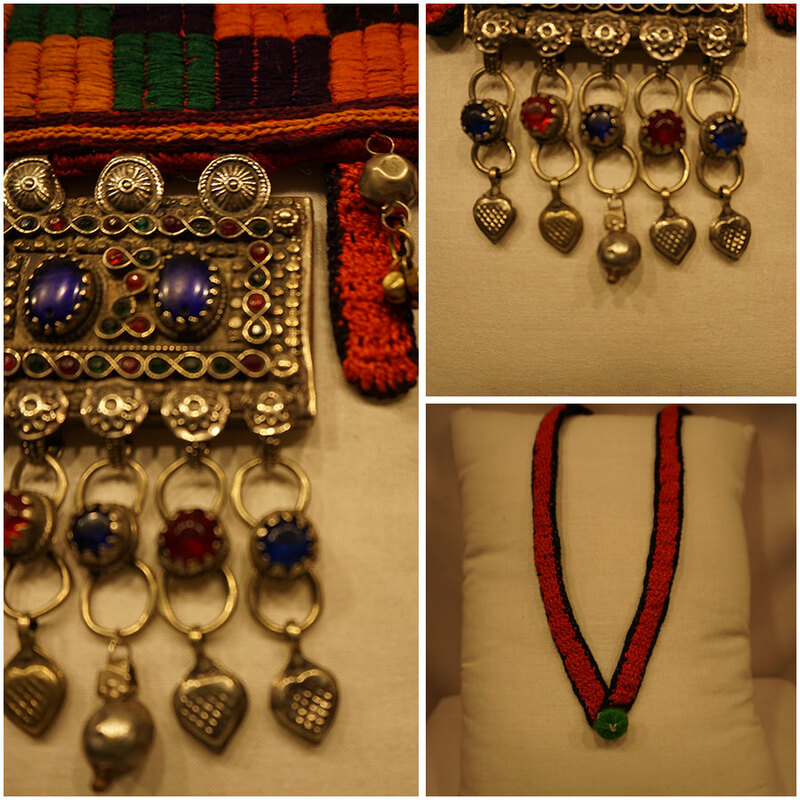 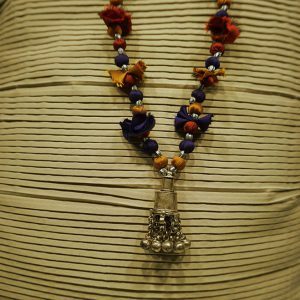 Handmade, original Afghan nomadic tribal pendent dangles on a lambani hand embroidered geometrical panel is an amazing piece of art. 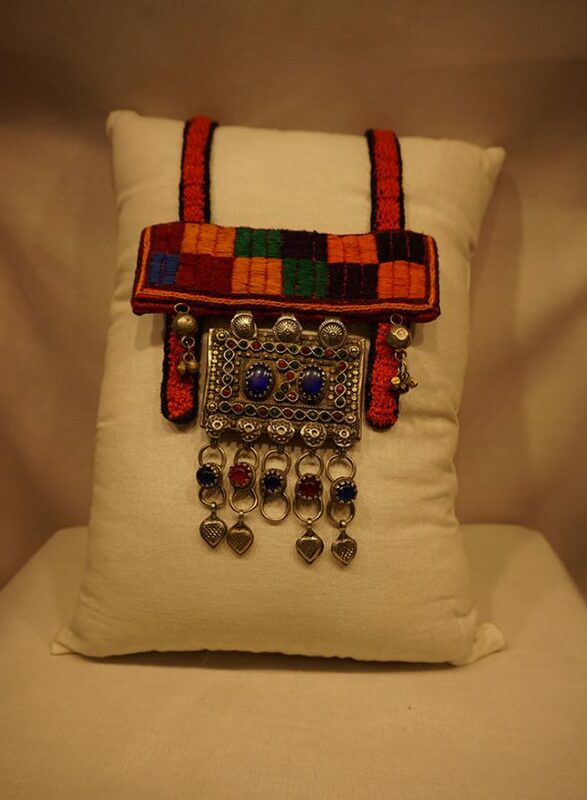 Handmade, original Afghan nomadic tribal pendent dangles on a lambani hand embroidered geometrical panel is an amazing piece of art. 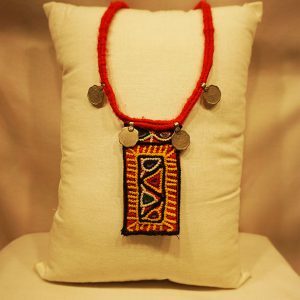 The set of pendent beautifully attached to a hand knitted crochet bands finished with a wooden button and loop. 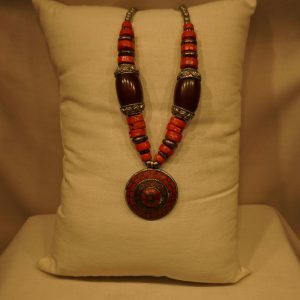 The pendent is inlaid with big and small coloured stones, securely surrounded by beautiful filgree work, hand carving. 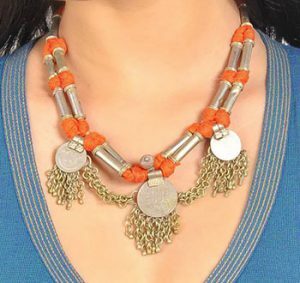 The silver hanging through the chain has a soft soothing sound.